Anyone who hikes knows that the right pair of hiking boots is essential for a long day out. 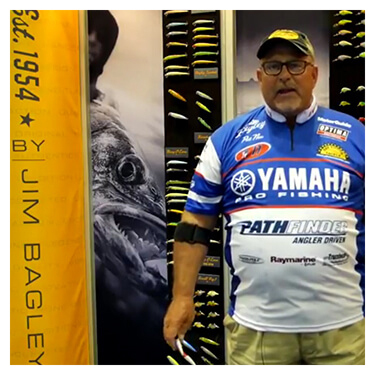 The same can be said for anglers who wade. Having a great pair of wading boots is necessary for a multitude of reasons. The most important of which is comfort. Think about it: You are going to be spending the entire day on your feet, half-submerged in cold-to-cool water. Wearing uncomfortable wading boots or shoes adds unnecessary discomfort that will only worsen as the day goes on. Comfort can also be determined by the warmth and the weight of the boots. 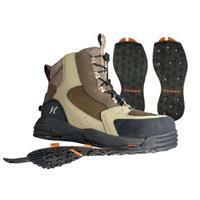 Other important details to consider when purchasing a pair of wading boots are the stability and traction they offer. Since wading involves water, slick rocks and uneven surfaces, you are bound to slip or roll your ankle at some point during your fishing trip if you are underprepared. Having a pair of boots with a good sole to help prevent slipping will greatly increase the likelihood of having an injury-free day. In the same sense, boots with a padded collar help keep ankles stabilized so you have a less likely chance of rolling them while trekking through a stream with an uneven or rocky bottom. There are several options for wading boots. 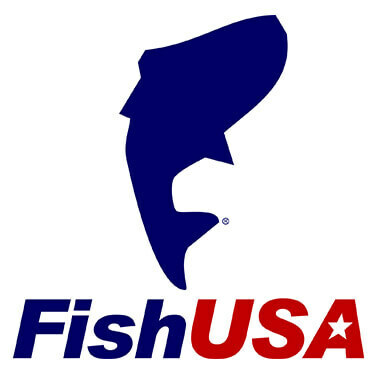 The following is an overview of some of the top wading boots at FishUSA, taking into consideration different price points. 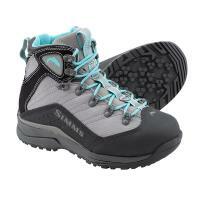 Not only are these great, quality boots, but they also feature Simms’ CleanStream technology. The materials used are designed to dry faster and clean easier than others on the market. This allows the Freestone Wading Boots to help counteract the spread of invasive species from stream to stream. The Freestone design features a neoprene-lined collar for comfort all day, whether you are wading or hiking. The drains on the sides of the boots allow water to escape the boot and not weigh the wearer down. 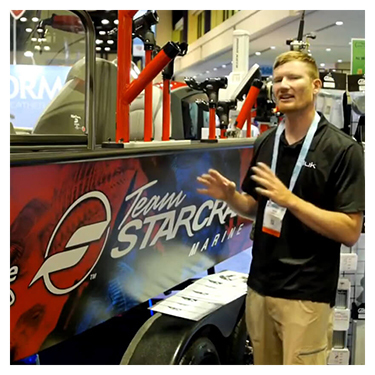 The Freestone is available in felt and cleated soles, the latter featuring Simms’ StreamTread designed specifically for heavy duty wading performance, support, and traction. Simms’ Women’s VaporTread Wading Boots are designed with a partially-lined neoprene collar to assist with comfort and fit. The Vibram Megagrip sole features the VaporTread platform for added traction on slippery and uneven surfaces. This platform is lightweight, allowing anglers to wear them for an all-day outing without the added stress of having heavy boots. Korkers RedSide Wading Boots feature an ultra-comfortable design, perfect for those long days spent on the river. These versatile, high-performance wading boots feature Korkers OmniTrax 3.0 Interchangeable Sole System which allows you to change soles quickly to adapt to changing wading conditions. The integrated midsole drainage ports allow water to drain quickly keeping boots lighter and the strategically placed seams reduce fatigue and the possibility of seam failure. Korkers RedSide Wading Boots also feature waterproof construction materials that reduce water absorption and overall weight. This also heeds a faster drying time, great for preventing the spread of invasive species. Frogg Toggs Anura II Technical Wading Boots provide excellent comfort, fit and stability with their molded midsole and padded collar. These boots are constructed of durable 900 Denier Cordura and leather with a rubber toe overlay offering superior protection for your feet. Frogg Toggs Anura II Technical Wading Boots will keep you dry on your fishing adventures. Ledges Wading Boots from Compass 360 are constructed with non-shrinking, embossed nylon with a polyurethane upper to always provide a comfortable fit. 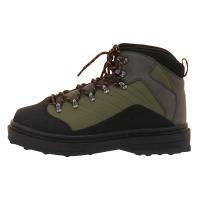 They fit to size and there is no need to go up a size to accomodate for waterproof booties. Included with these boots are "Get-A-Grip" slotted steel wading studs for extra grip. Designed for comfort and functionality, these boot offer a solid grip so that you can move through water and other harsh terrains without any problem.